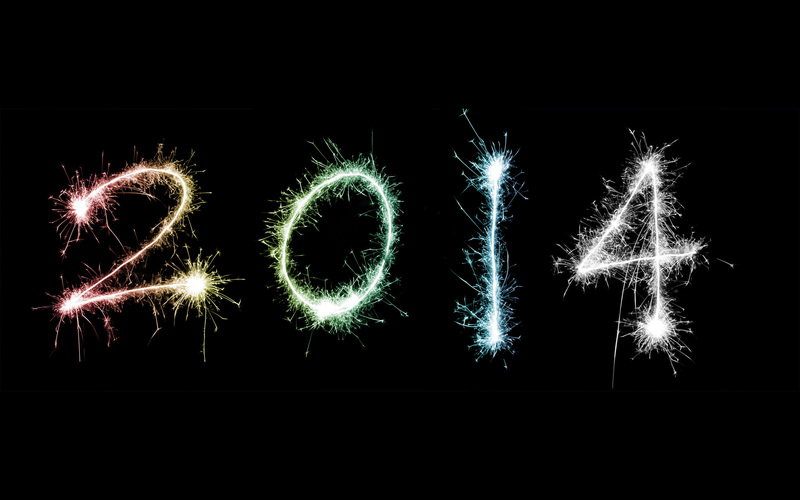 It’s almost 2014! Can you believe it? 2013 FLEW. I can’t believe it’s already over. It was a darn good year, though. I liked it a lot. I feel like I learned a lot which means I at least learned a little bit. I made some new friends, extended my YW family, had hard conversations that made me feel more grown-up, had stupid conversations that reminded me I’ve got a lot of growing up to do, and ate a lot of ice cream. I celebrated awesome things with friends – like marriages and babies and houses and pets and every stinking success we could celebrate in the classroom – and I celebrated with my students as they actually learned something. Praise God and Hallelujah. I got my cat, Strawberry, and one cat quickly escalated to twelve, which probably puts me in the crazy cat lady range. (How did that even happen?) Now I’m gearing up for an even better 2014 because I believe in forward motion and constant improvement. Let’s do this! Last year I didn’t do resolutions, but I did a 24 before 24 list, which has completely been forgotten and discarded – I did so poorly at both creating and executing the list that I’m not even going to link it! – which was a shame. So I’m aiming to make this 25 in 2014 (or 25 before 25 since my birthday is so close to the end of the year) list a little more achievable. By making it a little less specific. 1. Eat more jelly beans. 6. Go to new places. 8. Unearn the reputation as the cat factory. 10. Make my NaNoWriMo book readable. 11. Write a (NaNoWriMo?) sequel to the first. 14. Read the Bible more. 16. Talk about God more. 18. Complain less. Like, not complain at all. About anything or anyone. 19. Immerse myself more in Spanish. Read books in Spanish. Watch movies in Spanish. Have conversations in Spanish. Listen to music in Spanish. Sing in Spanish! 20. Keep reading awesome amounts of books. 21. Surprise people with things they like. Like my presence. And food. 24. Think of myself less. 25. High five and hug more. What about you, dear reader friends. Got any resolutions?